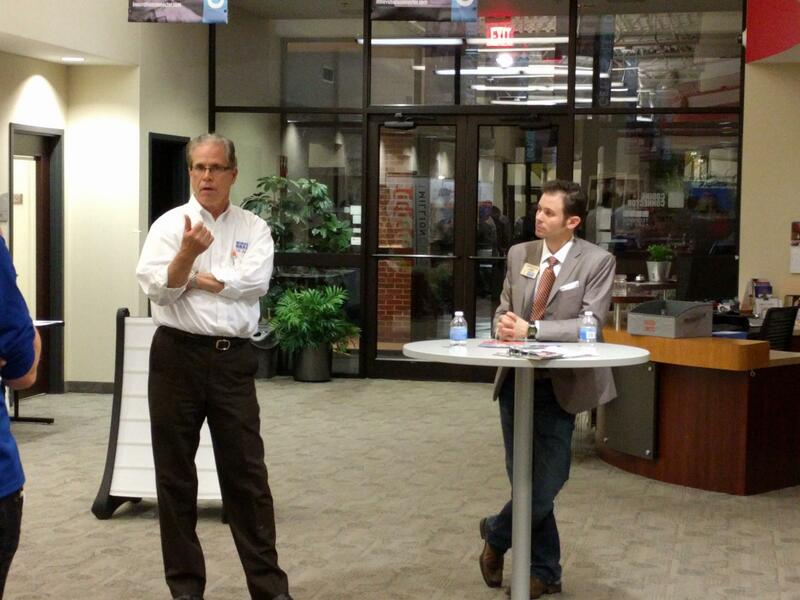 GOP Congressional candidates Mike Braun (left) and Jonathan Lamb speak to a Muncie crowd, on Tuesday, March 27, 2018. 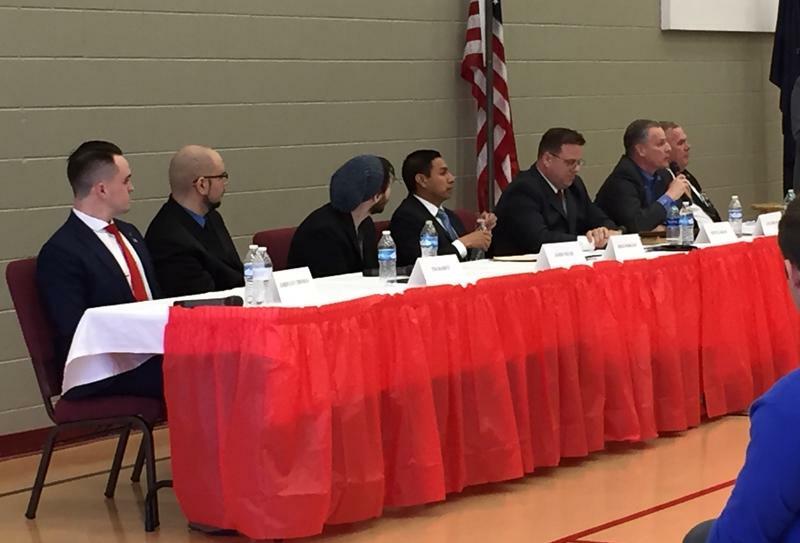 Two Hoosier politicians looking to be sent to Congress next year traveled through the 6th District Tuesday, ending the evening in Muncie. 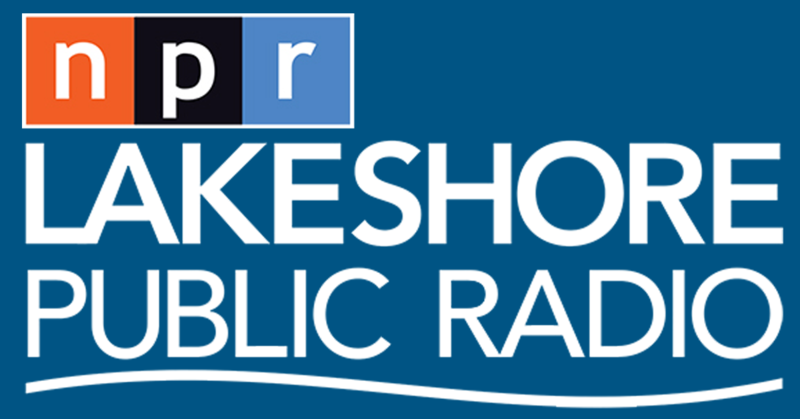 Mike Braun and Jonathan Lamb call themselves “conservative GOP outsiders.” As Indiana Public Broadcasting’s Stephanie Wiechmann reports, both want to appeal to “drain the swamp” voters who want to elect people other than their famously-named opponents. Braun is a former state representative running for US Senate. His opponents in May’s primary are sitting Congressmen already – Todd Rokita and Luke Messer. He’s pledged not to be a career politician and says that’s being heard by the voters who send in checks every day. Jonathan Lamb meets with supporters in Muncie, IN, on Tuesday, March 27, 2018. Lamb is on the Republican primary ballot in the 6th District with a Pence. As in Greg Pence, the older brother of the former Governor, current Vice President, and former 6th District Congressman himself – Mike. 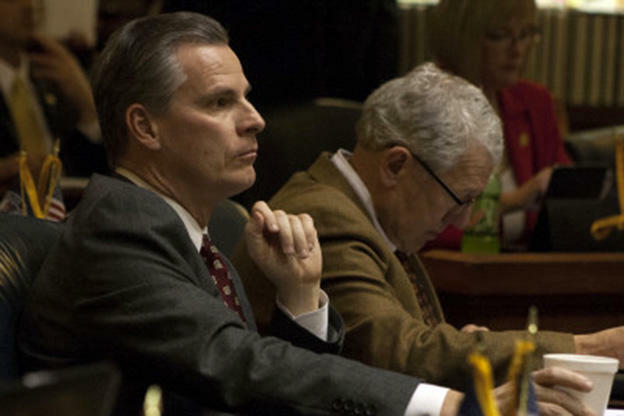 Lamb says Hoosiers are worried others will “buy” their Congressional seat. 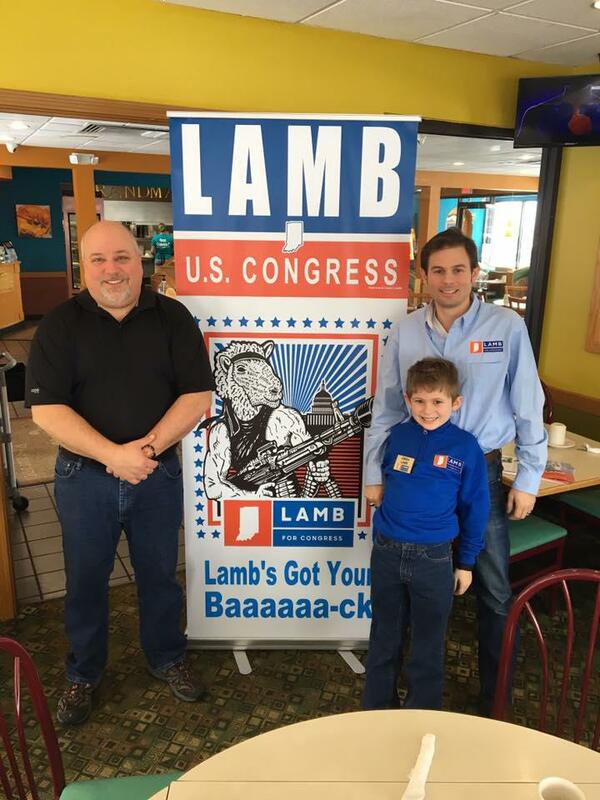 Some voters like Ben Fisher of Daleville, who sports a Lamb for Congress t-shirt featuring a cartoon sheep in a tactical vest holding a rocket launching rifle, say it’s both men’s backgrounds as business owners that’s brought out support. Braun and Lamb supporters in Muncie voiced their displeasure about the newest spending bill just passed by Congress, continued funding for Planned Parenthood, and the recent debate about gun ownership. INDIANAPOLIS – Republican U.S. Senate candidates Mike Braun and Luke Messer have agreed to debate April 30 in a televised statewide event organized by the independent Indiana Debate Commission. Indiana Department of Workforce Development Commissioner Steve Braun will step down from his post after three years on the job. Gov. Eric Holcomb’s office confirms Braun’s resignation will take effect Aug. 30. Holcomb spokesperson Stephanie Wilson says the reason will soon be clear. The departure intensifies rumors Braun will seek the GOP nomination for the 4th Congressional District seat vacated by Todd Rokita’s run for U.S. Senate. Diego Morales, a former staffer for Mike Pence, is the only declared candidate in the race.